Next: Prosciutto-Rimmed Cocktail Wins Pisco Competition! Previous: 2nd Annual Dine n Dash = Delish! Goat Cheese Greek Yogurt Berry Cheesecake Bars! I made these as my monthly improv cooking challenge item. Frugal Antics of a Harried Homemaker produces this awesome monthly challenge. There are two required ingredients each month, and everyone makes something that contains both ingredients (+ anything else that they want to put in it).  I LOVE it (1) because it’s really cool to see what people come up with, and (2) it gets my creative juices flowing and pushes me to create new recipes. This month’s ingredients: Berries and Cream. Berries = any type of berry. Cream = anything with a creamy texture, like sour cream, yogurt, ice cream, cream cheese, actual cream, etc. And so, these bars were born. 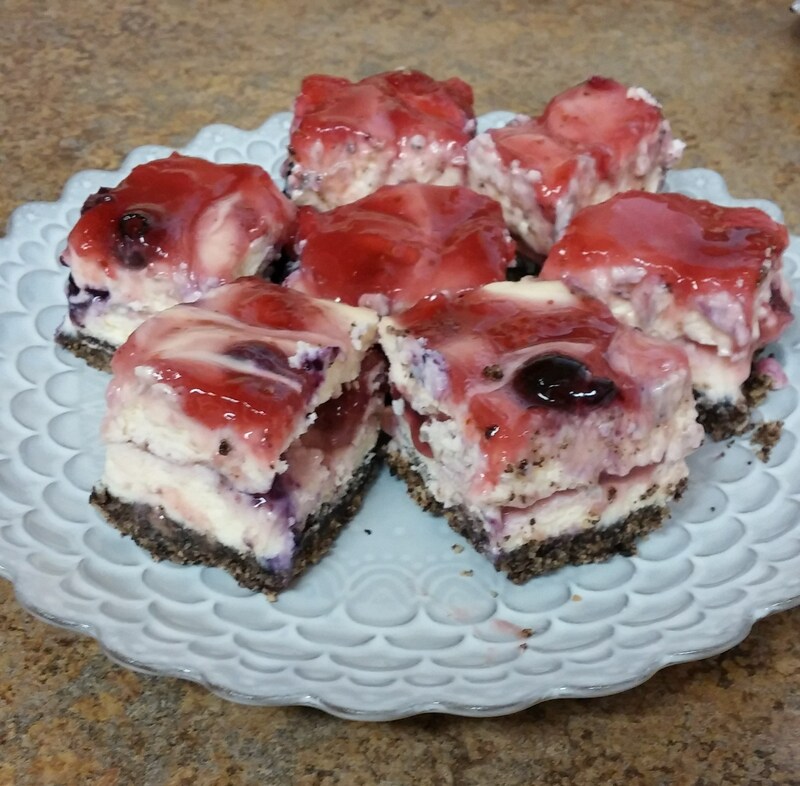 They are cheesecake bars, made with neufchâtel cream cheese (which has 1/3 less fat than regular cream cheese), goat cheese, and fat free greek yogurt; a black and white oreo crust, and strawberry blueberry swirl. 1) Preheat your oven to 325 degrees F. Line a 13×9 inch baking pan with aluminum foil, making sure the foil is long enough to hang over the sides. You’ll use these as handles later. Spray the foil with non-stick cooking spray. Set it aside. 3) Onto the berry swirl. Slice up your strawberries. Put the strawberries and blueberries into a saucepan. Heat them over medium heat, stirring constantly with a wooden spoon, until the berries release their liquids. 4) Set this aside and let it cool a bit while you make the cheesecake. 5) Now, onto the cheesecake. Put the cream cheese, goat cheese, and sugar into your mixer (the bowl of a stand mixer, or just a big bowl if you’re using a hand mixer.) Beat on medium-high speed until thoroughly combined. Then add in the eggs and the vanilla. Mix again until well combined. Use a rubber spatula to scrape down the sides of the bowl. Finally add in the greek yogurt. Mix again until everything is fully combined. 6) Now, let’s assemble. Scoop out about half of the cheesecake batter on top of the crust layer. Spread it out smoothly. Then evenly spread on about half of the berry mixture. 7) Bake the bars in the preheated oven for about 45 minutes. 8) Cool them completely on a wire cooling rack. Then, cover them and put them in the fridge. Refrigerate them for at least 2 hours, or overnight. Once they’re chilled, use the aluminum foil handles to lift the bars out of the pan and onto a cutting board. Flatten out the foil. Using a long knife, cut the bars. You may have to clean the knife off a few times while you’re cutting them to make a cleaner cut. These would be a great treat to bring to a potluck, party, or really any gathering. And if you’re really thinking ahead…they are quite patriotic for the 4th of July! I am glad you posted these. I do want to make them. This is the kind of treat everyone loves. Hi, Im confused as for the amount of cream cheese. it says2 8oz bricks of neufchâtel cream cheese, room temperature. is it 8 oz or 16? Sure thing! It’s 16oz total. Cream cheese (at least the kind I typically buy) comes in 8 oz bricks. So, you need 2 of them. Let me know if you have any other questions! Happy Baking!